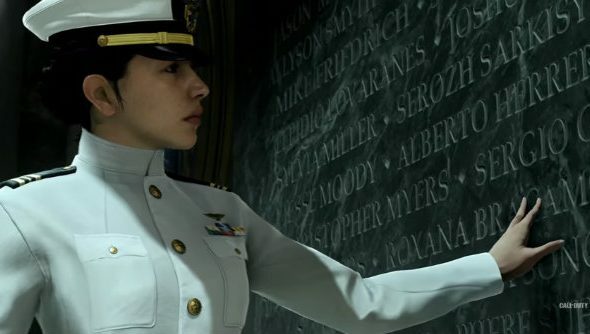 Remember the fallen – that was the underlying message in Call of Duty: Infinite Warfare. Perhaps we should all show similar respect when looking back at the FPS series, which has seemingly now passed its peak, as sales on this year’s space-based shooter are down almost 50% on last year’s Black Ops 3. Check our list of the best FPS games to see who the current kings are. AsCNBC report, this information comes viaNPD sell-through data sourced by two Wall Street analysts. The figures would certainly explain why Activision Blizzard shares have dropped in value around 20% since the mid October peak, likely due to COD sale worries. “Infinite Warfare units came in 17% shy of our expectations, down close to 50% year-on-year,” Cowen analyst Doug Creutz wrote. Elsewhere, another Wall Street source told CNBC that sales were actually down 51% year-on-year. These figures are very close to the physical Gfk Chart released back in November, which showed first week sales were down 48%. At the time, many pointed out that this wasn’t a good representation, as it didn’t account for digital sales, but the full picture seems to be worse.